Live from Bahasa Lounge, Tampa, FL. (Vol. 4) from 2005; all vinyl dj mix. 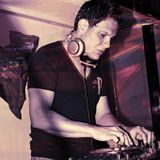 Favian Portilla aka Dj Fabian is a collector & dj specializing in Deep, Jazzy, Funky, Tech, Techno, Tribal & Progressive House with a twist of Electro, Nu Disco, Indie Dance & Ambient.